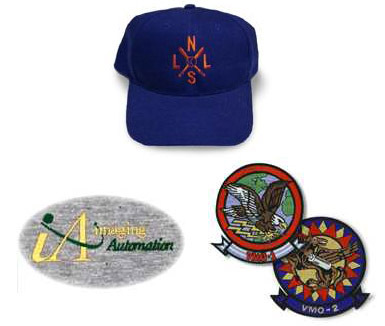 Custom Embroidery on T-shirts, hats, pants, etc. Whether you're looking for simple lettering, or a more involved design embroidered onto your clothing selection, you've come to the right place. Our state-of-the-art equipment accurately translates your corporate, or team specifications onto the fabric to provide a finished look and feel of unsurpassed quality.